A 2017 article in The American Journal of Psychiatry suggests that regular leisure-time exercise of any intensity can protect against future depressions. The study by Samuel B. Harvey and colleagues followed a group of 33,908 healthy adults for 11 years. The researchers found a link between regular leisure-time exercise and reduced incidence of future depression (but not anxiety). This link occurred regardless of the intensity of the exercise, and most of the effect occurred at low levels of exercise. Analysis suggested that 12% of future cases of depression could be prevented if all participants fit one hour of physical activity into their week. 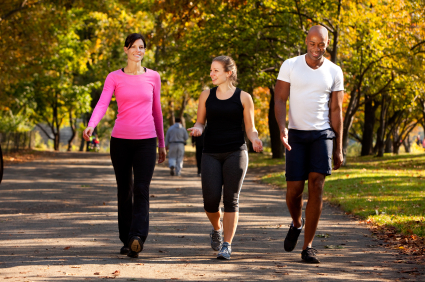 A small part of the benefit came from the social and physical health benefits of exercise. Harvey and colleagues suggested that from a public health perspective, increasing population levels of exercise modestly could lead to a substantial decrease in depressions. Editor’s Note: Alongside maintenance treatment, in the form of antidepressants for unipolar depression or mood stabilizers and atypical antipsychotics for bipolar disorder, exercise could provide some benefits in preventing future depressions.